Campeggio Bella Augusta si trova a Augsburg Airport, Baviera, è situato a un lago. Questo campeggio dispone di piazzole delimitate, sia ombreggiate che, senza ombra e piazzole poco ombreggiate. Camping Bella Augusta si trova nei pressi di una spiaggia sassosa. È possibile affittare roulotte, stanze e appartamenti. Il campeggio dispone di un parco giochi. Non è sempre necessario cucinare, perché all’interno del campeggio ci sono snackbar, pizzeria e ristorante con ampio menù presente. In campeggio è possibile acquistare pane fresco. Potete navigare su Internet, poiché il campeggio dispone di uno o più computer con collegamento a Internet e nell'80% del campeggio potete navigare con il vostro portatile. Ogni anno un ispettore visita il Campeggio Bella Augusta, controllando oltre 200 tra attrezzature e altri punti di interesse del campeggio. L'ispettore è un dipendente ACSI e non lavora per il campeggio. We stayed for one night on this site which is close to the motorway and does have some noise but it did not disturb us. We received a warm welcome (after lunch break) with good advice. The site is well kept with good facilities. We sat by the nearby lake and swam in warm water which is used by many locals. We did not visit Augsburg but believe the cycle paths are convenient and easy ride. WiFi was reliable. Very good value with reduction using ACSI card. Very nice clean site good size pitches staff very polite helpful and friendly . Very clean toilets and showers . Lovely lake to walk round with shade . We stayed for 2 nights, the overall is good for a transit camping. A little noisy because the highway that is side by side. The restaurant was nice, the food was good but not a lot of choice. All was clean and well maintained. The surrounding park and lake were really nice. Very close to A8 so a lot of "in transit" but noise from road was not a problem. Showers did not seem at all narrow to me. The pitches are large with plenty of shade if needed. Grass could do with mowing more often. Electric boxes are on the end rather than in the middle. Our cable just made it. I am sure they will loan an extension lead if needed.The bus stop is about 800m to walk so allow 20 minutes. Reception will give you the bus timetable. They seem to run approx. twice an hour. You could park on the roadside if you needed to. We enjoyed getting the bus into Augsburg. The city was very interesting and not too big. The Italian restaurant on the site, Passatore, has a pleasant terrace and serves really good quality food. We went twice during a 3 night stay. The lake nearby is a pleasant morning walk. I would not stay a week but would definitely recommend this site. Most facilities on site were closed due to end of season, however site was very busy. Pitched on grass , very difficult to find EHU. Toilet facilities were Ok but showers very narrow. Bar only open 1 night but there is a good Italian restaurant on site which was open and good food. There is also an excellent snack bar in park adjoining campsite. The site is 1/2 a mile walk from nearest bus stop and buses are infrequent. We would not go back to this site. We stayed at this site for 3 nights. It is very well secure as the lake brings in many people who are not staying at the campsite. The facilities are clean and the showers are good. The pitches are badly maintained and it is generally a bit tired. It is very convenient for the A8 motorway. We mainly chose it for this as we were touring through to Austria and we wanted to visit Munich which was a very cheap day return from Augsburg. We also spent a long half day in Augsberg which is a nice town with lots to see. Nice well set up park with friendly English speaking reception. Restaurant a bit of a let down, did not appear set up for the start of the season. We can imagine it would be an excellent location and restaurant in high season with alfresco areas and lake views. Nicely located next to the motorway for access. Volete prenotare il campeggio Campeggio Bella Augusta o oppure saperne di più? Potete farlo usando i seguenti dati oppure tramite il sito del campeggio. A8, uscita 37 Augsburg-Ost, direzione Neuburg a/d Donau e aeroporto, al primo semaforo a destra, dopo 200m camping a destra sulla Mühlhauserstraße. 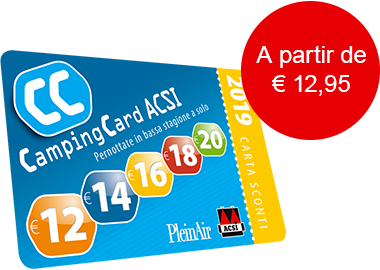 ACSI Eurocampings invia la tua richiesta di informazioni al "Campeggio Bella Augusta".